The rocket will carry the Advanced Supersonic Parachute Inflation Research Experiment (ASPIRE) from NASA’s Jet Propulsion Laboratory in Pasadena, Calif. Launch of four student experiments through the NASA University Student Instrument Program. The schools are Utah State University, University of Nebraska, University of Kentucky, and Florida Institute of Technology. Launch of the Orbital ATK Antares rocket carrying the Cygnus spacecraft with supplies and experiments to the International Space Station. The rocket will carry the Advanced Supersonic Parachute Inflation Research Experiment (ASPIRE) from NASA’s Jet Propulsion Laboratory in Pasadena, Calif. The mission will evaluate the performance of the ASPIRE payload – which is designed to test parachute systems in a low-density, supersonic environment. The live web stream at www.ustream.tv/channel/nasa-tv-wallops begins at 6:15 a.m. EDT on launch day. This will be the seventh launch supporting the RockSat-X educational payload in partnership with the Colorado Space Grant Consortium. Nine colleges, universities and community college teams have developed experiments that will fly on this mission planned to reach an altitude of approximately 95 miles. During the flight of a two-stage Terrier-Improved Malemute sounding rocket, ten canisters about the size of a one-liter drink bottle will be deployed to 6 to 12 miles from the 670-pound main payload. Between approximately 3.5 and 5 minutes after launch, blue-green and red vapor will be deployed from the canisters forming artificial clouds. These clouds or vapor tracers allow scientists on the ground to visually track the winds in space. The development of the canister or ampoule ejection system will allow scientists to gather information over a much larger or spatial area than previously allowed when deploying the vapor just from the main payload. The June rocket will carry 23 experiments from the RockOn! program, nine experiments from the RockSat-C program and more than 80 small cubes with experiments developed by middle school students in 49 states as part of the Cubes in Space program. This is the 10th anniversary of RockOn whee university and college students and instructors visit Wallops and learn the basics of building experiments for suborbital flight. This will be a test of a technology development(SubTec-7)for the deployment of payload components in support of future sounding rocket missions. This will be the sixth planned cargo resupply mission by Orbital ATK under NASA’s Commercial Resupply Services contract with the company and the fourth launch from Virginia. Cargo resupply by U.S. companies enables a national capability to deliver critical science research to the space station, significantly increasing NASA's ability to conduct new science investigations aboard the world’s only microgravity laboratory. This will be the sixth launch supporting the RockSat-X educational payload in partnership with the Colorado Space Grant Consortium. Eight colleges, universities and community college systems have developed experiments that will fly on this mission planned to reach an altitude of approximately 95 miles. June 24, 2016 launch day is June 24. University and community college students and instructors from across the United States will converge on Wallops for a week during RockOn! IX to learn about building suborbital rockets experiments. The launch is the culmination of the week-long workshop and includes those experiments the participants built during the workshop. In addition, several secondary schools will fly more complex experiments on the rocket as part of RockSat-C. The project is in cooperation with the Colorado and Virginia Space Grant Consortia. NASA will fly three new technologies that will be tested in the microgravity environment of suborbital space. The technologies flying on the Terrier-Improved Orion rocket are the Radiation Tolerant Computer System (RadPC) from Montana State University, Bozeman; the Vibration Isolation Platform (VIP) from Controlled Dynamics, Huntington Beach, California; and Sub-Orbital Aerodynamic Re-entry Experiments-9 (SOAREX-9) from NASA’s Ames Research Center, Moffett Field, California. 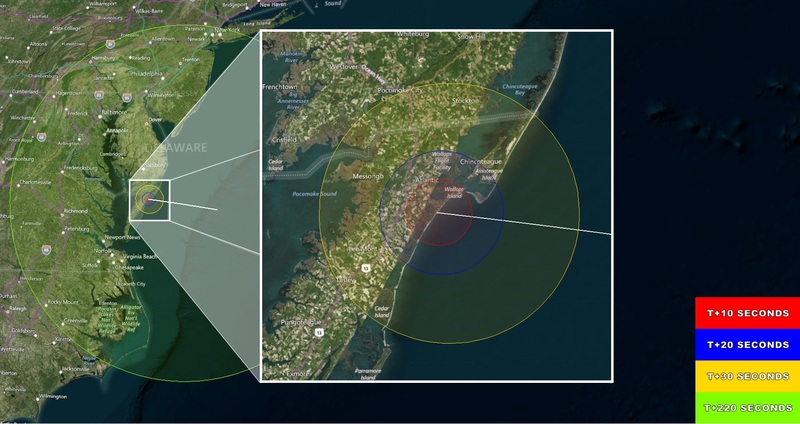 The purpose of the mission is to provide an opportunity for Wallops engineers to gain experience in developing technology for sounding rocket flights and to test several new technologies, including a day-time star tracker. The mission will result in a standard payload carrier with predefined mechanical, telemetry, power and attitude control capabilities. 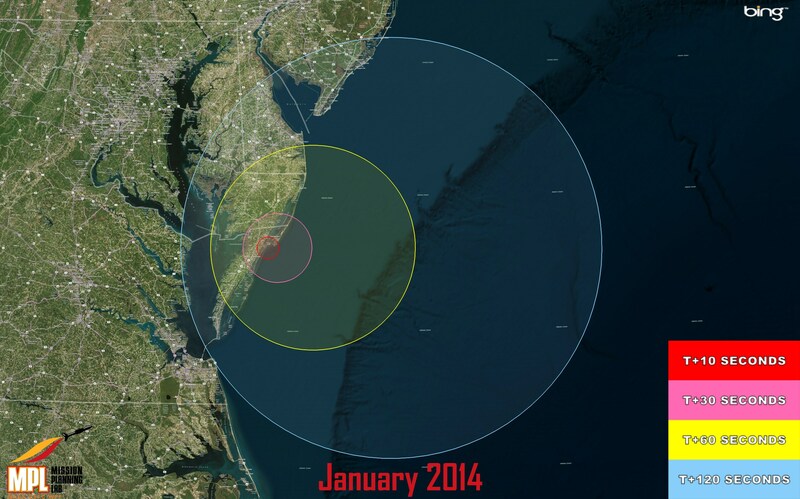 The launch may be seen on Delmarva from southern Delaware to the southern tip of Virginia's Eastern Shore. This mission is a test flight of the new Black Brant Mk4 motor.The primary objective is to characterize the motor performance in a Black Brant IX configuration. The secondary objective of this mission is to provide an opportunity to test new technology experiments. This includes the near net shape experiment from NASA's Langley Research Center (sponsored by the NASA Game Change Office), a CubeSat experiment from Orbital ATK (also sponsored by the NASA Game Change Office), and sub-payload ejection technology. The Terrier-Improved Malemute will carry experiments developed through the RockSat-X program conducted with the Colorado Space Grant Consortium. Paticipating schools are Capital Technology University, the University of Puerto Rico, Nortwest Nazarene University, University of Hawaii Community College System, Unversity of Nebraska-Lincoln, Virginia Tech and the University of Colorado, Boulder.The Visitor Center at Wallops will open at 5 a.m. on launch day for viewing and web Ustreaming on the Wallops Ustream site begins at 5 a.m. This launch includes the launch of several university and community college student developed experiments. RockOn is the culmination of a week-long workshop that introduces students and instructors to developing experiments for suborbital rocket flight using kits. More than 70 participants are expected this year. RockSat-C is for university teams with students that have participated in RockOn. This is the next tier in the education program. The students develop their own experiment which are more complex than those flown in RockOn. Both programs are conducted with the Colorado and Virginia Space Grant Consortia. The Terrier-Improved Malemute will carry experiments developed through the RockSat-X program conducted with the Colorado Space Grant Consortium. Paticipating schools are the University of Puerto Rico, Nortwest Nazarene University, Unversity of Nebraska-Lincoln, Virginia Tech and the University of Colorado, Boulder.The Visitor Center at Wallops will open at 5:30 a.m. on launch day for viewing and web Ustreaming on the Wallops site begins at 5:30 a.m.
Three Terrier-Oriole suborbital rockets are scheduled for launch between 12:30 and 4:30 a.m., Monday, Feb. 23, for the Department of Defense from NASA’s launch range at the Wallops Flight Facility in Virginia. 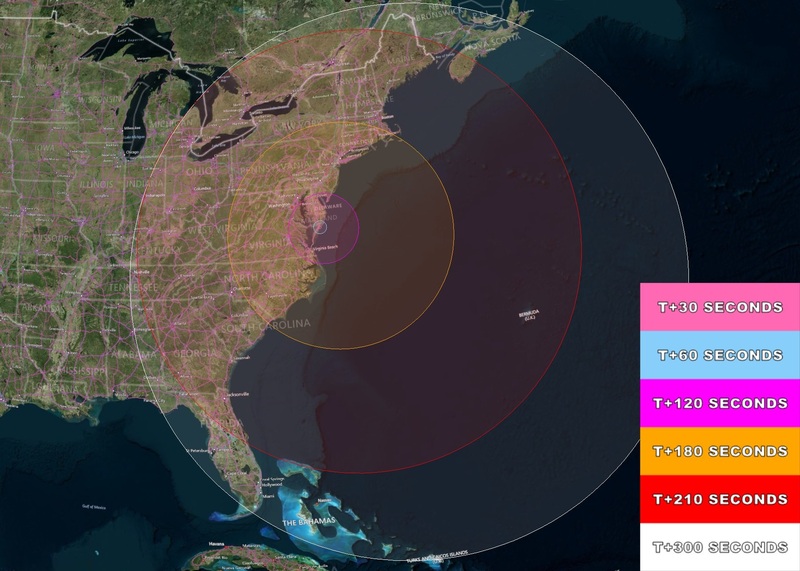 The rockets are scheduled to launch within a one-minute period and may be visible to residents in the mid-Atlantic region. The back-up launch dates are Feb. 24 through 27. At the request of DoD project managers, no real-time launch status updates will be available. The launches will not be shown live on the Internet nor will launch status updates be provided on social media once the countdown begins. The NASA Visitor Center at Wallops will not be open for viewing the launches. Launch of Orbital Sciences Antares rocket carrying the Cygnus cargo carrier with supplies to the International Space Station. This will be the third flight under the NASA Commercial Resupply Services contract with Orbital. The launch will be from the Mid-Atlantic Regional Spaceport's Pad 0A at Wallops. A Terrier-Lynx suborbital rocket will be launched for the Department of Defense. At the request of DoD project managers, no real-time launch status updates will be available. NASA will test a new sub-payload deployment method for suborbital rocket missions with the launch of a Black Brant IX sounding rocket. The sub-payload deployment method being tested on this flight uses small rocket motors like those used in model rockets to eject the sub-payloads from the main payload. During the demonstration two sub-payloads with mixtures of mainly barium, and small amounts of the natural earth metals lithium and strontium, and two sub-payloads with only lithium will be deployed from the sounding rocket. By burning the metals rapidly, they vaporize to form clouds that will help to measure the wind in the transition region between the Earth’s atmosphere and space. The vapor releases occur at approximately 9 to 10 minutes after vehicle lift-off between 124 and 217 miles above the Earth. A Terrier-Lynx suborbital rocket will be launched for the Department of Defense. At the request of DoD project managers, no real-time launch status updates will be available. The launches will not be shown live on the Internet nor will launch status updates be provided on social media once the countdown begins. The NASA Visitor Center at Wallops will not be open for viewing the launches. Launch of Orbital Sciences Antares rocket carrying the Cygnus cargo carrier with supplies to the International Space Station. This will be the second flight under the NASA Commercial Resupply Services contract with Orbital. 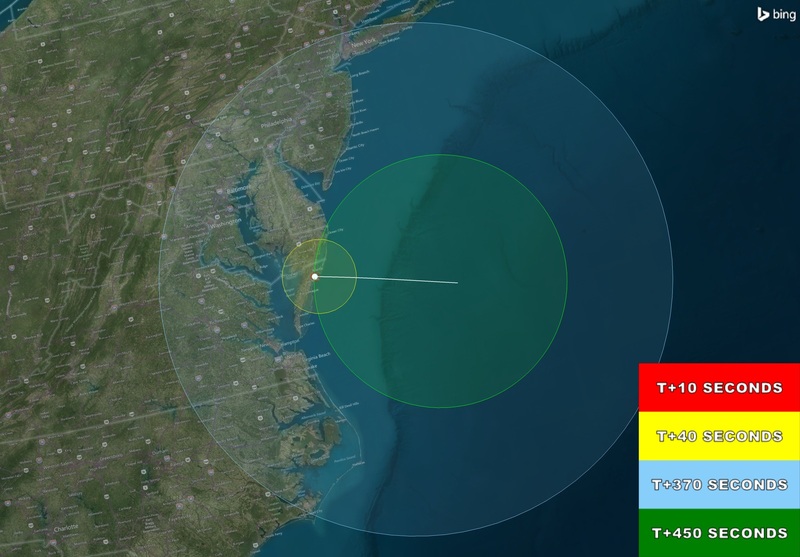 The launch will be from the Mid-Atlantic Regional Spaceport's Pad 0A at Wallops. This will be a NASA Terrier-Improved Malemute suborbital sounding rocket carrying a payload devoted to rocket technology development. RockOn is a joint project with the Colorado and Virginia Space Grant Consortia. More than 60 university students and instructors will be at Wallops June 21 - 26 to learn how to build scientific experiments for flight on suborbital rockets. In addition to the experiments these students build, the rocket also will be carrying more compllicated experiments developed by University students through the RockSat-C program. 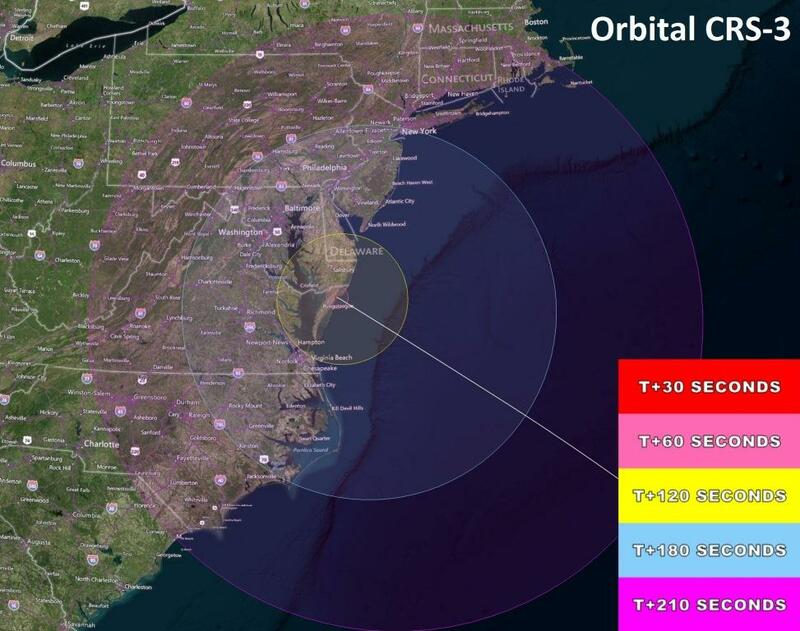 Nearly 120 students and instructors will be at Wallops to see their experiments launched. This will be a Department of Defense project that will include the launch of 3 suborbital Terrier-Orion rockets in a 20-second period. At the request of DoD project management,this launch will not be Ustreamed and updates will not be provided via social media. Also, the NASA Visitor Center will not be open to view the launches. Following successful test flights of its Antares rocket and Cygnus spacecraft earlier this year, Orbital Sciences Corp. of Dulles, Va., will launch the Orbital-1 cargo resupply mission from the Mid-Atlantic Regional Spaceport’s Pad-0A at the NASA Wallops Flight Facility in eastern Virginia. This will be the first of eight planned cargo resupply missions by Orbital for NASA under the agency's $1.9 billion Commercial Resupply Services contract, which ensures a robust national capability to deliver critical science research to orbit, significantly increasing NASA's ability to conduct new science investigations to the only laboratory in microgravity. The Department of Defense ORS-3 Mission, also known as the Enabler Mission, will demonstrate launch and range improvements to include: automated vehicle trajectory targeting, range safety planning, and flight termination; employ a commercial-like procurement with FAA certification of a Minotaur 1; and launch the Air Force’s Space Test Program Satellite-3 and 24 cubesats on an Integrated Payload Stack. These enablers not only focus on the ability to execute a rapid call up mission, they reduce engineering hours from months to days resulting in decreased mission costs. Orbital Sciences Corp., one of NASA’s two partners in the Commercial Orbital Transportation Services (COTS) program, announced it is now targeting Sept. 14 through 19 for its demonstration flight of its Cygnus cargo spacecraft aboard the Antares rocket to the International Space Station. Antares will launch from Mid-Atlantic Regional Spaceport Pad-0A. NASA TV coverage will begin at 10:30 a.m. The NASA Visitor Center and the beach on Assaeague will be available for public viewing. NASA's Lunar Atmosphere and Dust Environment Explorer (LADEE) is scheduled for launch Sept. 6. Backup launch days are Sept. 7 through 10. LADEE is a robotic mission that will orbit the moon to gather detailed information about the lunar atmosphere, surface conditions and environmental influences on lunar dust. A thorough understanding of these characteristics of our nearest celestial neighbor will help researchers understand other bodies in the solar system, such as Mercury, outer planet moons and larger asteroids. LADEE will launch from the Mid-Atlantic Regional Spaceport’s (MARS) Pad-0B on an U.S. Air Force Minotaur V vehicle built and operated by Orbital Sciences Corp. This will be the first flight of the Minotaur V and the first launch beyond Earth orbit from Wallops. Seven experiments will fly to a projected altitude of 97 miles in a 20-foot long payload as part of the RockSat-X program. 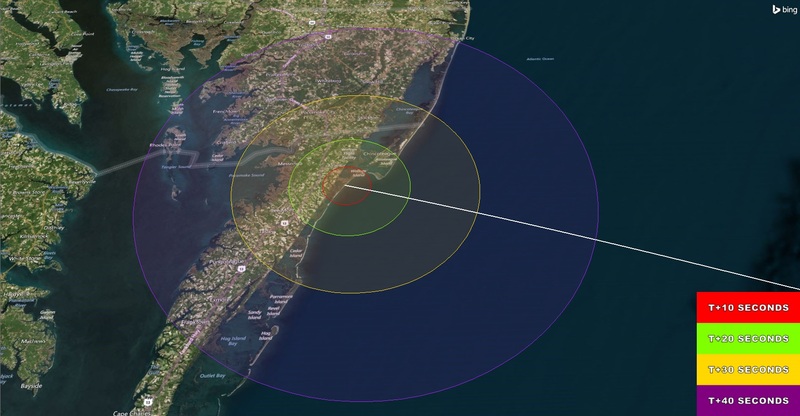 After the nearly 12-minute flight, the payload will return via a parachute and splash down in the Atlantic Ocean approximately 86 miles from Wallops. The payload will then be recovered and the students will receive their experiments later in the day to see how their experiment performed and begin their data analysis. Additionally, payloads will transmit data during flight down to Wallops via a telemetry system on board the rocket.